When it comes to devices, operating systems, gaming and more, timing is everything. 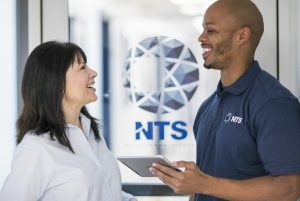 NTS is equipped to put emerging technologies through their paces to ensure the durability and safety of the products and services your loyal users can’t live without. And all at a time-to-market pace that keeps you ahead of the game. NTS testing capabilities are designed to stay one step ahead of our customer partners. We work alongside industry-leading computer hardware and software innovators who are shaping the future with Smart Grid/Smart Energy technologies, consumer electronics and telecom devices. 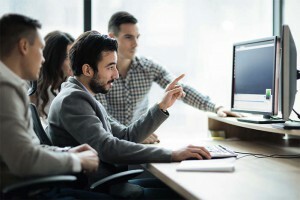 Be it computers, peripherals and software products—from desktops to operating systems to mobile devices and games—we’re more than ready to handle every testing requirement. We also perform a wide range of device certifications such as USB, WHQL/HCK, Qi, MoCA and DIRECTV. And our Research and Development facility focuses on new and upcoming technologies and emerging standards. What can we do for you? Request a Quote and tell us about your high tech or consumer electronics product testing or device certification needs.